InterMoor wins Top Workplaces accolade for Greater New Orleans area. 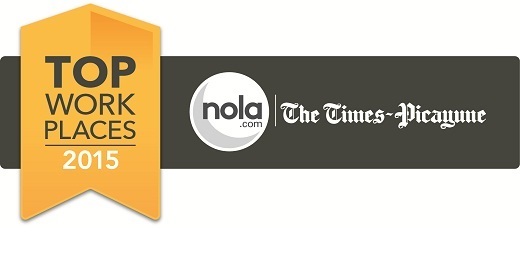 InterMoor Inc., an Acteon company, has been selected as one of the New Orleans Times-Picayune’s Top Workplaces; a list of the best companies to work for in the Greater New Orleans area. The Top Workplaces are determined solely on employee feedback. The employee survey is conducted by WorkplaceDynamics, LLP, a leading research firm on organizational health and employee engagement. Eight hundred companies were nominated for the Top Workplaces, and InterMoor was placed in the top 40 of the ‘Small Business’ category. More than 285 professionals work in InterMoor’s modern, purpose-built Morgan City facility. Benefits for employees include life insurance and health plans, flexible working policies and regular onsite group cooking events to foster team morale. InterMoor supports individual involvement in occupational and industry-related organizations; and external employee training and certifications are encouraged and reimbursed by the company. Each individual completes an annual employee satisfaction survey. New Orleans Times-Picayune, which is distributed to 120,000 households, published the complete list of Top Workplaces on May 17. For more information about the Top Workplaces lists, please visit www.topworkplaces.com.